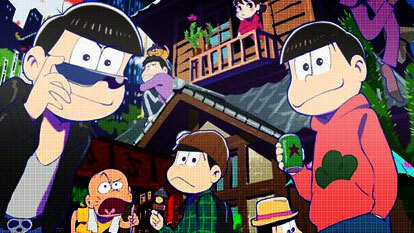 The Matsuno sextuplets (leader Osomatsu, wannabe tough guy Karamatsu, straight man Choromatsu, cynical Ichimatsu, cheerfully stupid Juushimatsu and lovable spoiled Todomatsu) are now in their 20s, still living together in the same house as NEETs. Their neighbors still include such eccentric characters as fish market idol Totoko, loud bucktoothed troublemaker Iyami, tiny rival Chiba, wacky inventor Dekapan, and giant mouthed glutton Dayon. Join the Matsuno siblings as they overcome mundane hurdles in their daily lives, such as finding employment, figure out who should pay the bar bill, and who should get the extra pastry!